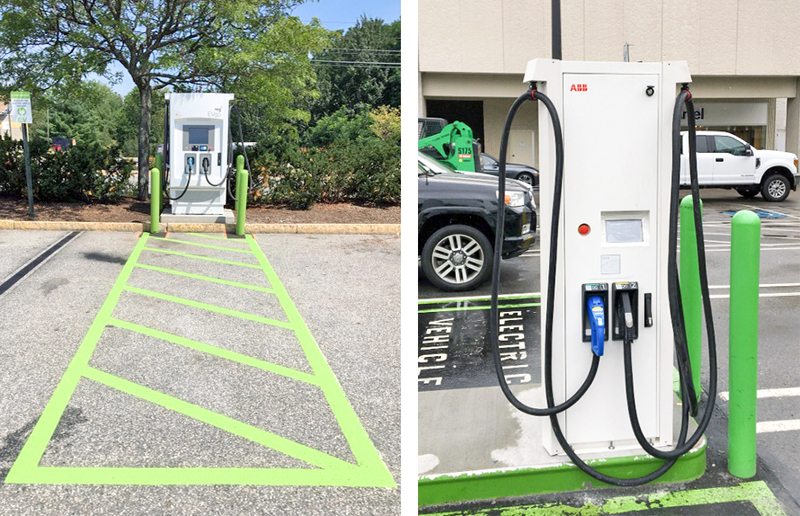 Installing EV chargers and initiating a workplace or commercial charging program is an attractive opportunity for you and your employees alike. Workplace EV charging is a benefit that will also attract employees by helping with their transportation needs. 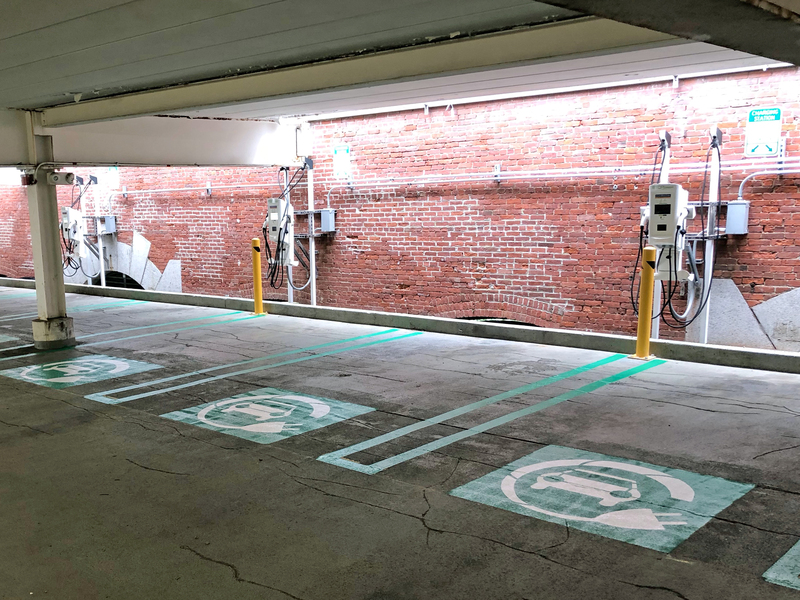 Few workplace initiatives offer such a unique win-win of employee satisfaction and environmental sustainability such as the roll-out of a workplace charging program. Learn more about how to implement a program by reading our Workplace Charging Guide. A rapidly growing number of Americans are transitioning to electric vehicles, or EVs — both plug-in hybrid and all-electric models. 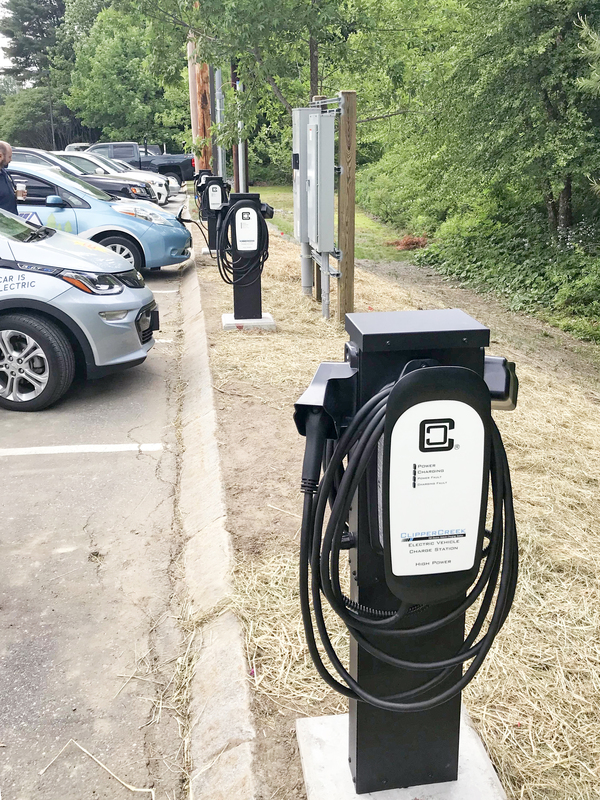 In response, many commercial enterprises and small business owners are installing EV chargers, and providing workplace charging as an incentive for their employees who drive some form of EV. 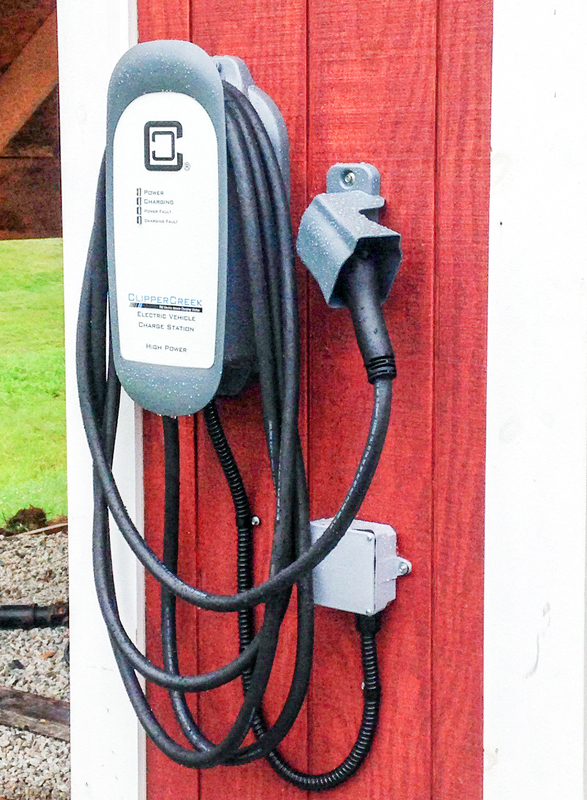 However small or large your company is, offering EV charging gives it an edge. Public charging stations are appearing in great numbers across the US, and remarkable progress has been made in the past few years. In 2018, the US had around 16,000 public charging stations, and that number has grown quickly. For comparison, there are over 100,000 gas stations throughout the 50 states, but with EVs, most of the “fueling” is done at home or work for commuting. The growing public charging network will extend drivers’ battery range, or even enable long-distance travel. By joining the transition and by providing EV charging as a perk for your customers you can increase visits to your business. 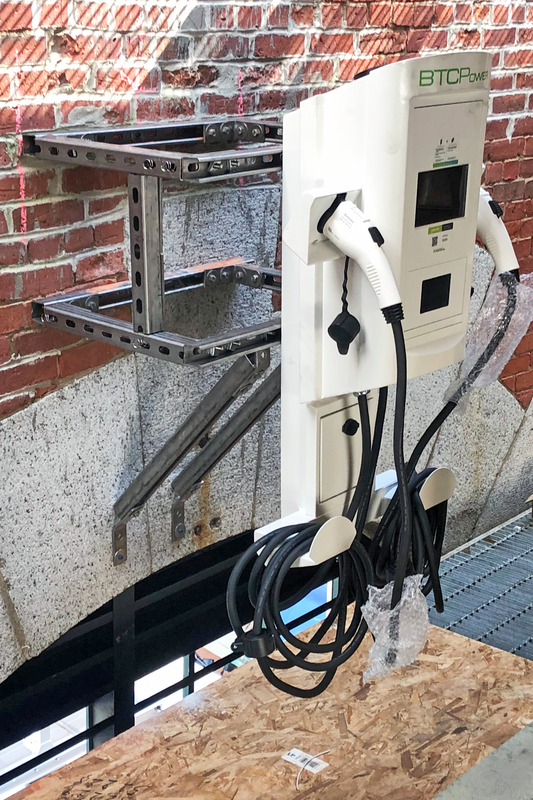 Businesses that offer public charging can be listed on the free app, PlugShare, through which a large market of users can easily find and review charging stations. This directory leads EV drivers to discover new businesses, like your own, that they love to support while topping off their vehicle’s battery. 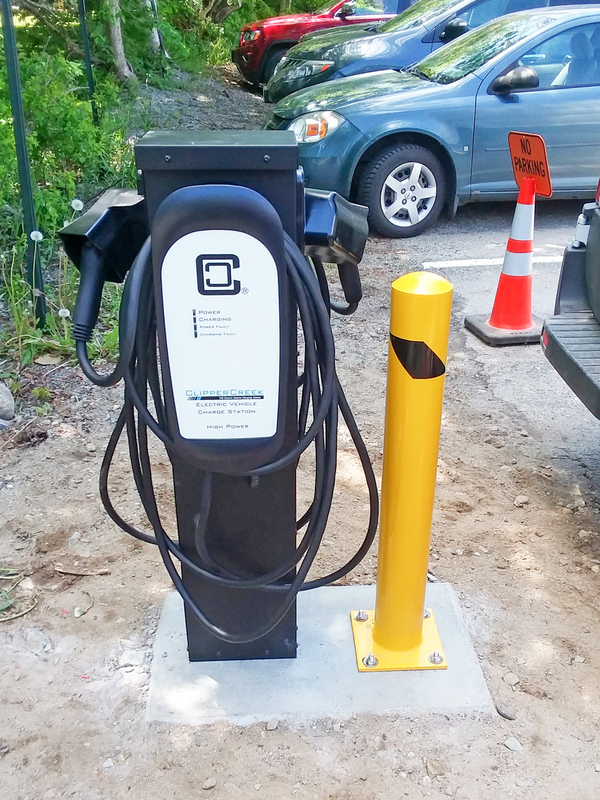 It’s another huge opportunity to install chargers to power your company fleet. A fleet of electric vehicles will generate enormous savings, as electricity is roughly half the cost of gasoline. “Fueling” is even cheaper with solar electricity. As well, EVs require far less maintenance than vehicles with internal combustion engines. 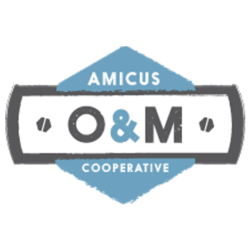 1) Working with business owners/stakeholder groups to understand the goals or the project. 2) Planning with the site manager to understand the technical feasibility of electric charging – where chargers might go, which equipment works best in different locations, which design choices are the most cost-effective to implement, etc. Much like investing in solar electricity, investments in electric vehicle charging are a way to show conscientious workers and consumers that your business is committed to a clean energy economy. 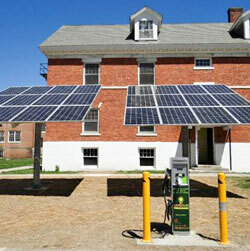 As well, the more EVs that recharge at your location, the more sense it makes to recharge them with solar power! Solar, like the EV market, is a high-performance technology and is now competitive with traditional, dirty fuels for everyday use. A grid-based eGallon, used by the US Department of Energy to compare the cost of electricity to gasoline, is currently calculated at $1.18. Compared to the average US gas price of $2.25 per gallon so far in 2019, it’s a significantly better deal. Even better, a solar gallon costs 71 cents! Combining solar with EVs will accelerate the return on investment for both, which is a decidedly attractive charging package. Drive on sunshine, save big bucks. Plug In America’s State and Federal incentives map shows state and federal incentives for EV purchases and infrastructure. Department of Energy’s Alternative Fuels Data Center shows laws, regulations, and incentives for each state. Level 1: Delivers about 5-8 miles of range for every hour. Every EV ships with the basic charging plug, and while it is conveniently able to plug into any 120V outlet, this is also the slowest method of charging. Level 2: Replenishes 10-24 miles of range per hour of connection. For the vast majority of businesses, Level 2 charging is the right option. Fast Charging: Recharges at a rate of around 150 miles of range per hour. Remarkable time benefits, but is by far the most expensive option. 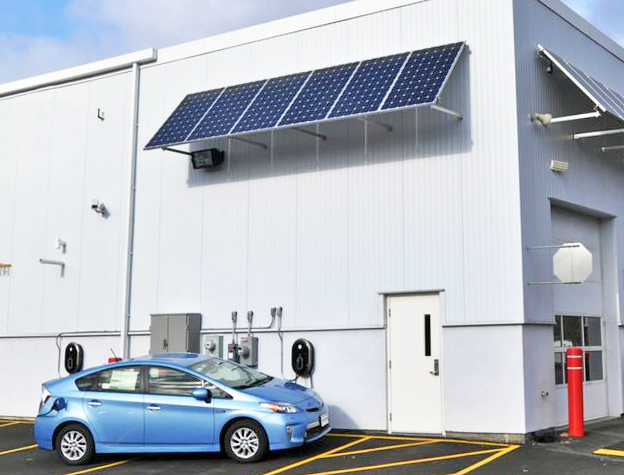 As mentioned above, EV drivers and businesses have another choice for their electricity – going solar. Solar offers profound advantages when paired with workplace charging, and solar canopies are an excellent way to optimize your installation. Check out this video overview of the Brooklyn Solar Canopy! The free-standing raised structures protect cars from the hot summer sun and harsh winter weather, while efficiently using existing parking lot space. Solar canopies can be built at ground level, in elevated locations or on rooftops and can create covered walkways as well as a carport. We have partnered with The Brooklyn Solar Canopy Co., enabling us to offer the best solar canopy on the market at very competitive pricing. ReVision Energy’s Solar Design Specialists are unmatched in their ability to balance the many factors and elements that make your company unique. Based on our understanding of these details we can help you determine what charging configuration, and level of power it delivers, will work best for your business. Perhaps you need a single vehicle charger, or maybe a row of solar canopy-powered chargers? 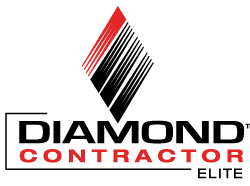 We carry and install many options that can work together in a variety of ways. We also provide legendary customer service throughout the entire process, and beyond. ReVision Energy has the experience needed, whether your workplace charging installation is easy or challenging. To learn more about your vehicle charging and solar electric choices, reach out to one of our Solar Design Specialists today to arrange your complimentary site visit. Will Workplace Charging Work for My Business?